Wow I have an exciting giveaway for you. 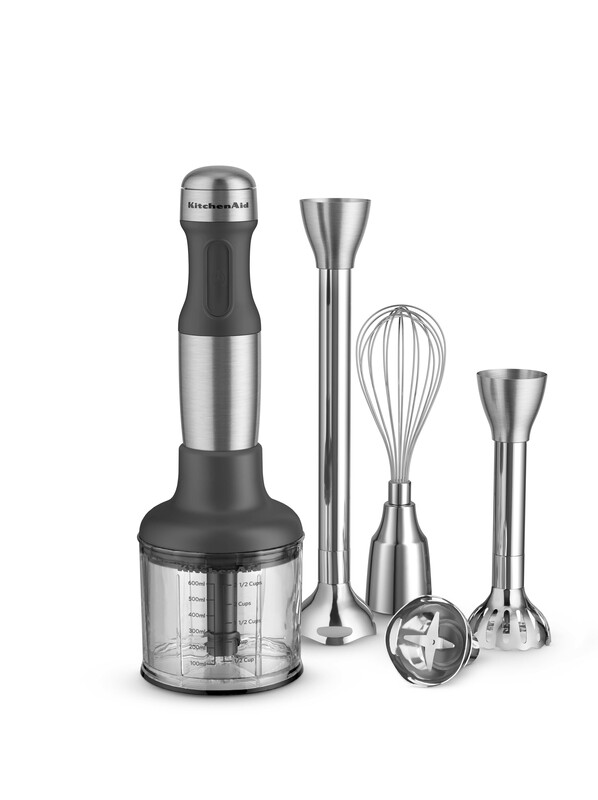 KitchenAid has teamed up with 1 Fine Cookie to vive you a KitchenAid Hand Blender. 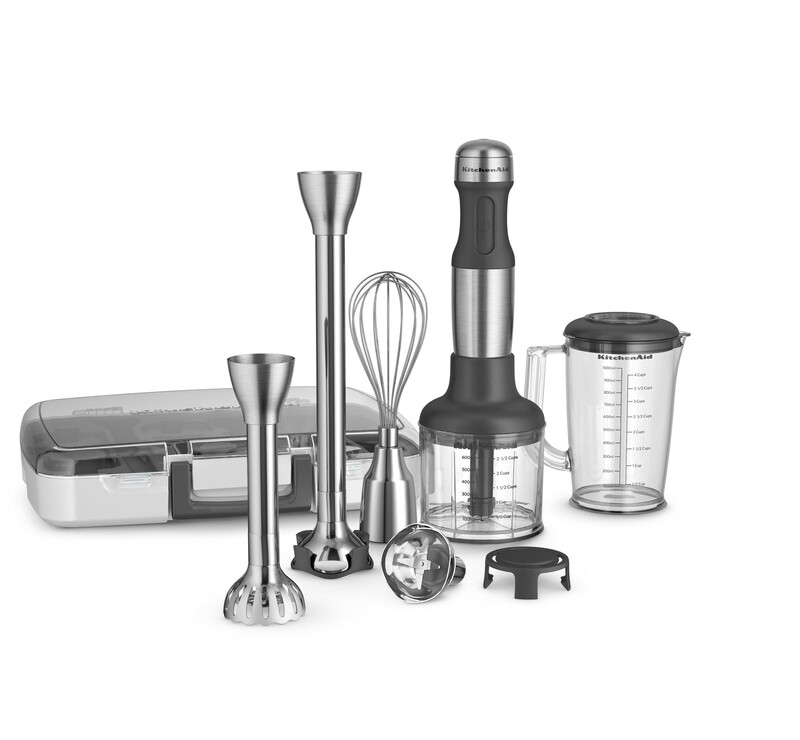 I used my own KitchenAid hand blender to create the coooolest ice cream. That’s right. Camouflage ice cream. I also made cookie crust bowls to serve them in. 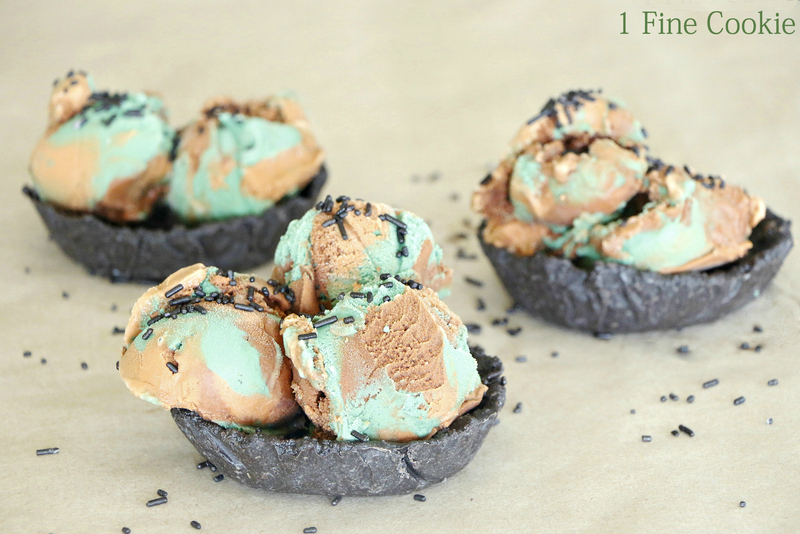 Check out how to make this awesome ice cream, and enter to win. To begin your camouflage ice cream, cut a carton ice cream carton into thirds. Place two pieces in freezer. Dump remaining third into a hand blender bowl and add one of the three food colorings. Blend well until desired color. Pour into a bowl and freeze. Repeat with remaining ice cream portions and colors, resulting in three different colors. Freeze all ice cream colors until very firm. 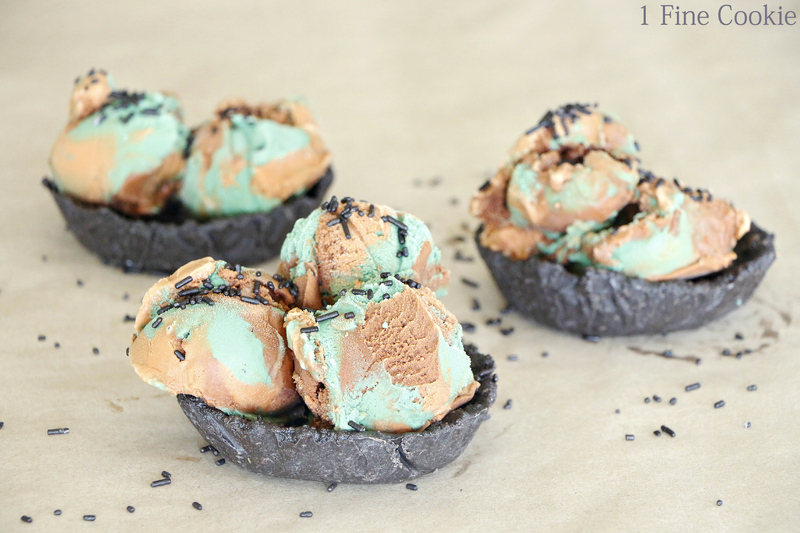 To combine colors for your camouflage ice cream, scoop little bits into the bottom of a large, flat bowl. After one layer, use wax paper to press down and remove air pockets. Place container and remaining amounts of color into freezer, firming ice cream up in between layers. This helps avoid melting ice cream or worse, ice cream soup. Repeat layers and freezing until container is full and colors are all used up. 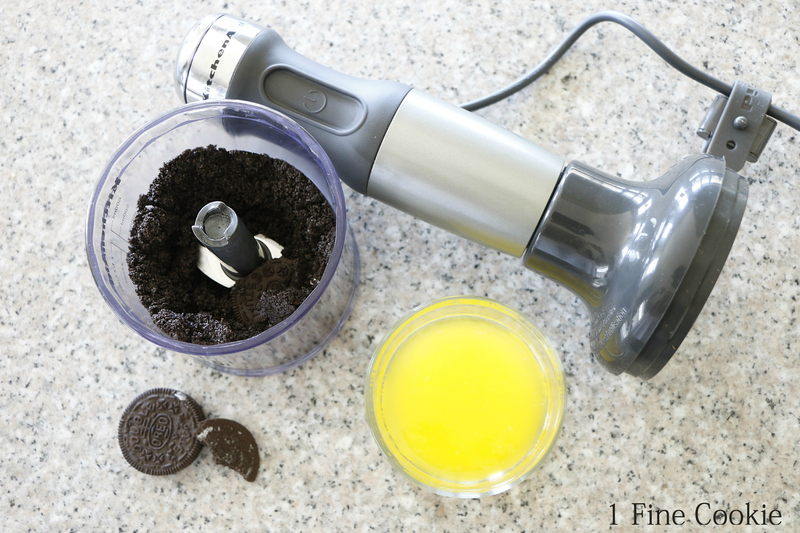 To make the cookie bowls for your camouflage ice cream, crush cookies into crumbs with your hand blender. Pour in melted butter and mix well. Line mini aluminum pie pans with large piece of aluminum foil. Press crumbs into bottom and along sides of pan. Place in freezer until hard. 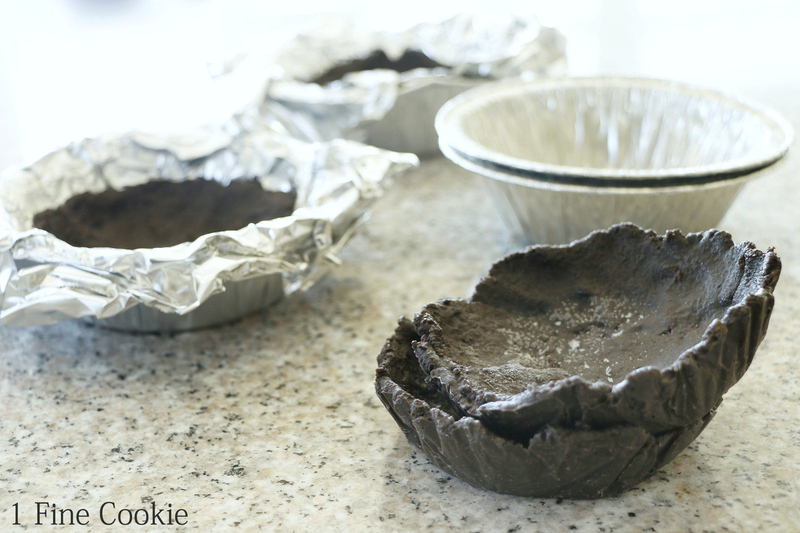 Remove pie crust bowls from pans and scoop ice cream into bowls. My ice cream is cooler than yours. 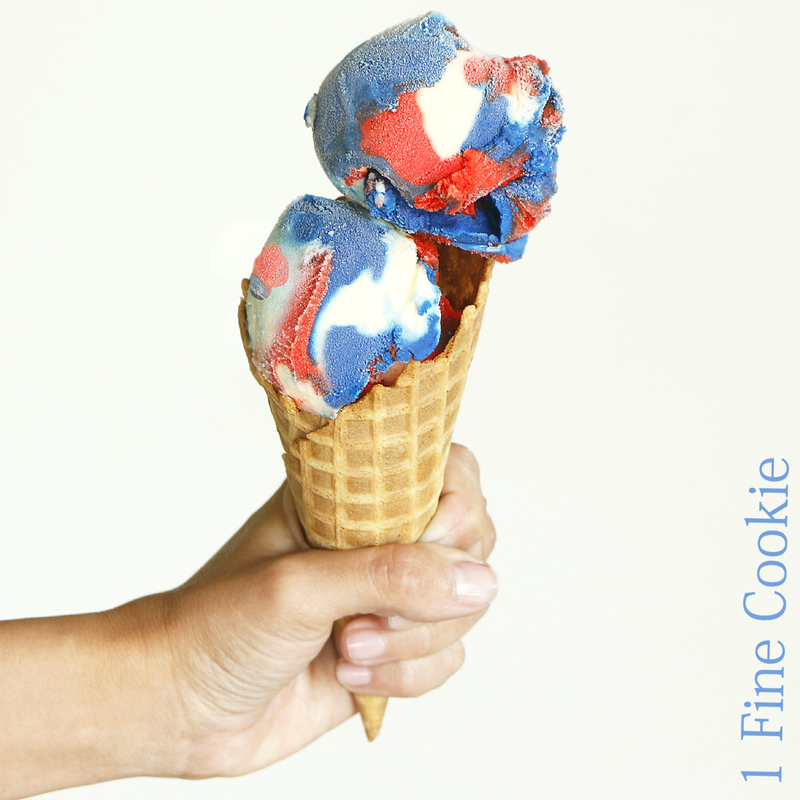 Oh P.S., you can make red, white and blue camouflage ice cream. 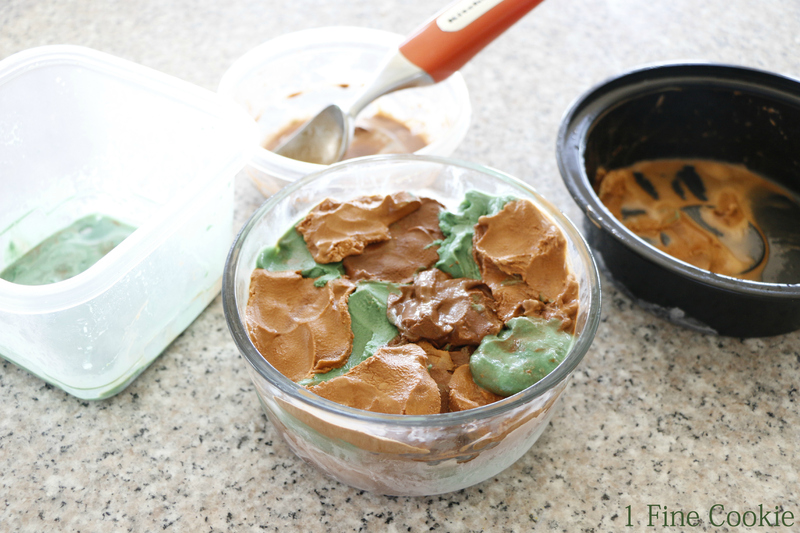 ***If you are considering posting up photos or ideas from this Camouflage Ice Cream Recipe post or any other posts I am truly happy that you find my recipes interesting enough to share with others. Writing and photographs are copyright protected under the DMCA, unless otherwise noted. Please see copyright standards in the footer (bottom) BEFORE you use photographs and/writing from this website. 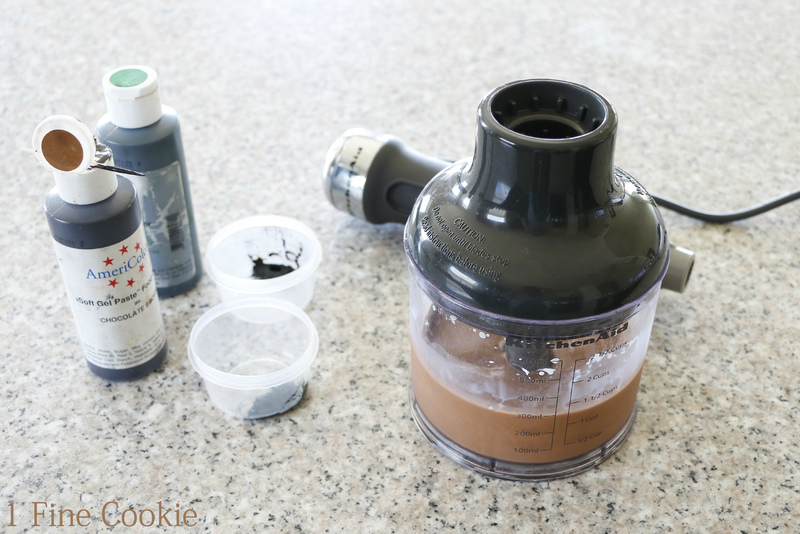 How to make camouflage ice cream, plus a KitchenAid Hand Blender Giveaway! 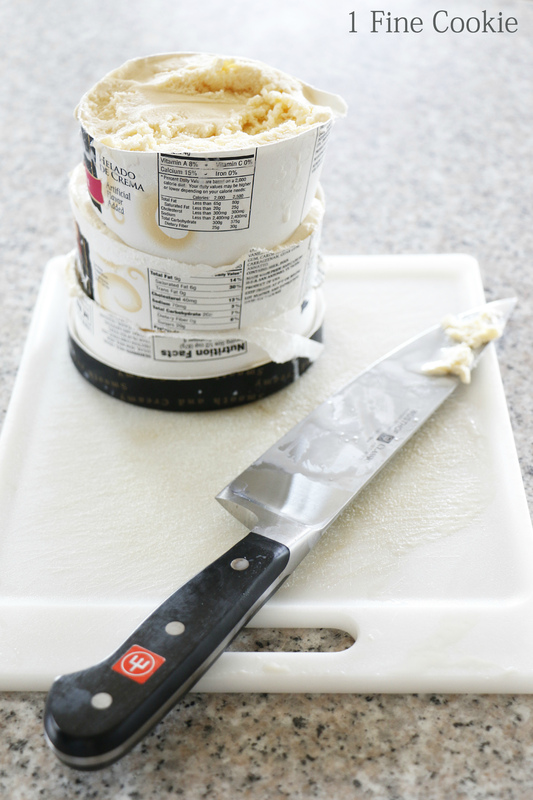 Cut ice cream carton into thirds. Place two pieces in freezer. Dump remaining third into a hand blender bowl and add one of the three food colorings. Blend well until desired color. Pour into a bowl and freeze. Repeat with remaining ice cream portions and colors, resulting in three different colors. Crush cookies into crumbs. Pour in melted butter and mix well. I entered the giveaway and got entries for posting the two photos on Pinterest. I really hope I win but you might want to remove those two entries from my chances as Pinterest blocked the links saying they lead to spam. @samantha, I fixed Pinterest portion, so try again. Thanks for letting me know! I entered the giveaway, but thought you’d like to know that the pins have been blocked. When I tried to pin from your image on the widget, I got an error message about it being blocked because of spam. I pinned from an image on the post. @beth, thank you for letting me know it should be fixed now. Just a heads up. Your pinterest links in the giveaway are blocked right now. Pinterest thinks they lead to spam. I pinned directly from this post and it worked just fine. @angelica, thank you for notifying me. For some reason the widget would not accept shortlinks. I would suggest deleting your direct pins and repinning through this widget, as I am not sure if the program tracks the other type of pin. I used to decorate cake for my kids birthdays, this would have been perfect addition. @jerry, do it next time!